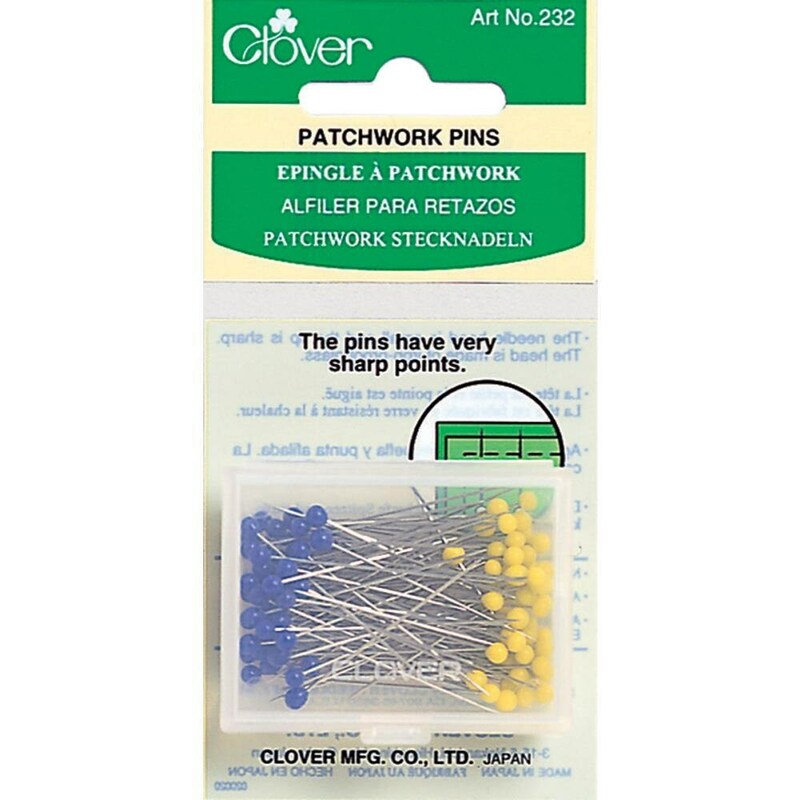 CLOVER NEEDLECRAFT INC-Patchwork Pins tips are very sharp for ease in pinning. The needle head on Patchwork Pins are small and made of iron-proof glass. Warning: The pins have very sharp points. Includes 100 pins per package, yellow and blue heads on the pins.